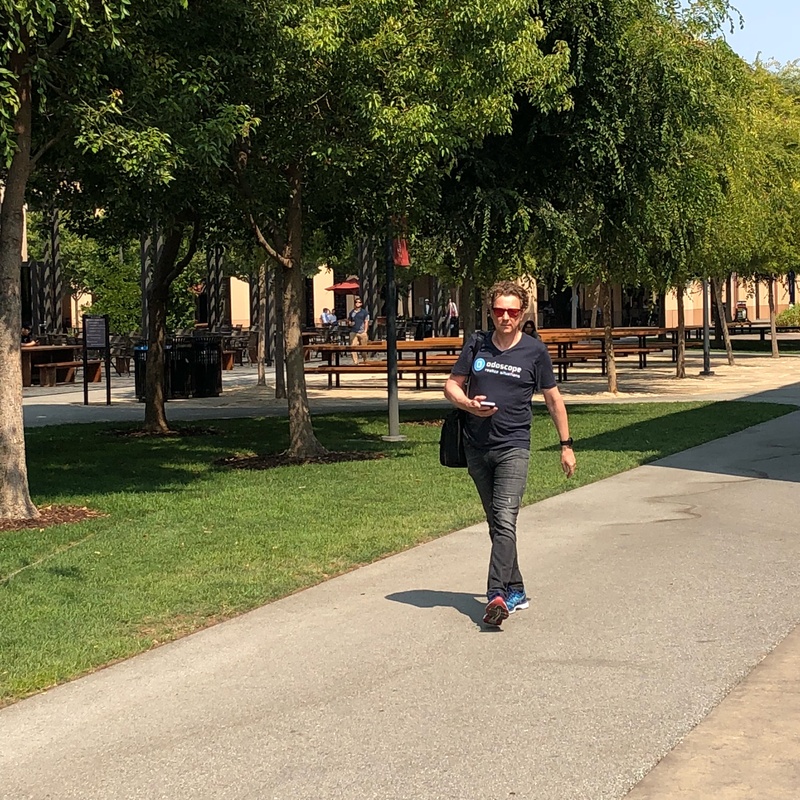 Our CEO Ralph Hünermann had the amazing opportunity to present our unique approach of situationalization in the tech hotspot Silicon Valley, California. The presentation was delivered on the 8/8/2018 to a selected group of high level executives of international tech, e-commerce and media companies. 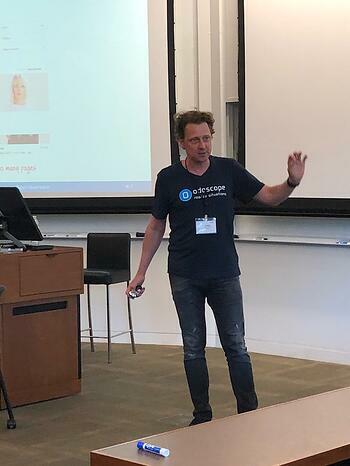 ODOSCOPE CEO Ralph Hünermann at the world-famous Stanford Graduate School of Business. 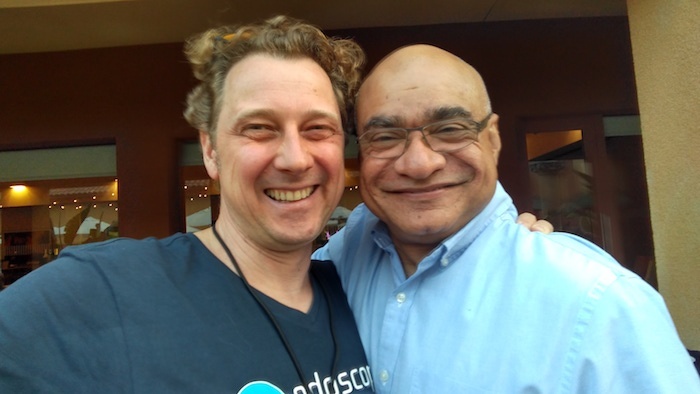 Ralph was introduced by the iconic Stanford marketing professor Baba Shiv: “If you are interested in the next stage of marketing technology, this is a technology that is gonna be very valuable for you!”. In his informative and inspirational speech, Ralph explained in detail the innovative situationalization approach of odoscope and how it works. He made clear, how e-commerce companies can use situationalization to individualize their online-shops and include their own business goals. Furthermore, he gave an inside view on how to use situational rather than personal data and how the odoscope algorithms work. Using ODOSCOPE’s situationalization technology can give companies an incredible competitive advantage. 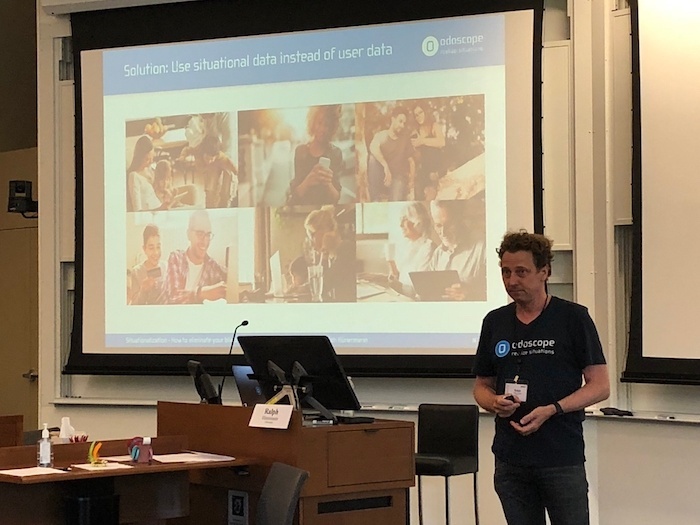 Ralph explained in detail how using situational data instead of user data can give companies a competitive advantage. By situationalizing their e-business, companies can eliminate their strategic marketing blind spot, improve the customer experience significantly and increase their revenue by up to 20%. With a lot of examples and a few puns, Ralph gave unique insights with immense value to the participants. After the presentation the 40 high profile attendees had the opportunity to ask questions such as: How much traffic do we need for situationalization to deliver meaningful results? What are the pricing models? Which languages are supported by odoscope? There was such an overwhelming interest in the technology of odoscope, that the lively Q&A session after Ralph's presentation had to be cut, because there was a limited timeframe. However, the attendees discovered the potential of situationalization and afterwards individual follow-up meetings for deeper, individual discussions were scheduled. In his presentation Ralph answered numerous questions from high level business executives. After meeting Baba Shiv in an executive boot camp in Salzburg, Austria, Ralph was invited to speak in the executive program in Stanford. Baba Shiv was very impressed with the unique approach of using situational rather than personal data to individualize the customer experience in e-commerce and e-business. So he decided this would be valuable input for his executive program participants. Ralph Hünermann (left) and Stanford marketing professor Baba Shiv (right) after the presentation. We are very thankful for this opportunity and are looking forward to the new possibilities it will open for odoscope. We will keep you updated about the ODOSCOPE journey in our blog. Want to learn more about situationalization by ODOSCOPE?